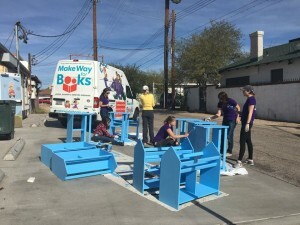 DIAD: Make Way for Books | Junior League of Tucson, Inc.
Make Way for Books made way for a great group of Junior League volunteers on a bright and sunny Saturday morning, January 16th. 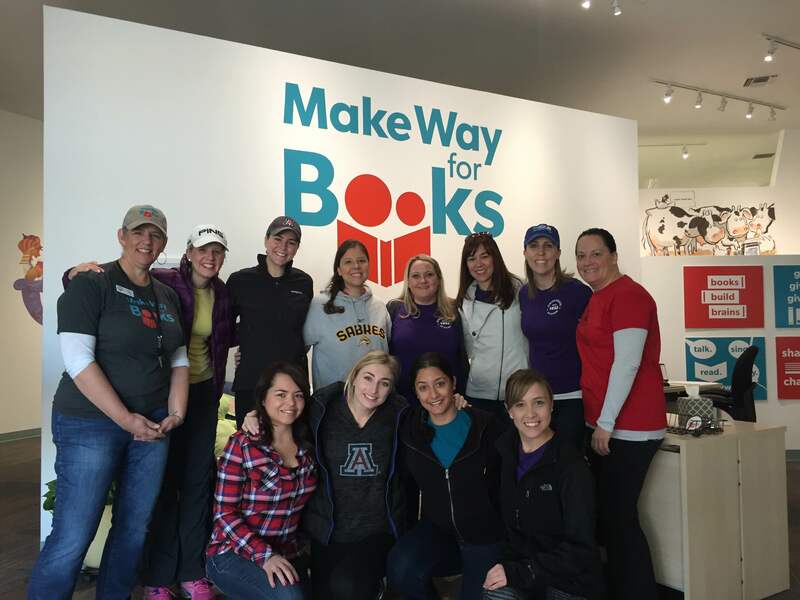 After a fascinating tour by MWFB Community Engagement Director Ally Baehr (where we learned about the numerous programs this nearly 20-yr organization has, and the incredible amounts of outreach efforts they conduct) we got to work! Teams cleaned, stamped, and counted over 1,500 books. Other teams assembled, built, and painted 10 small bookshelves, which will be placed in common areas of lower socioeconomic centers (health care centers, laundry rooms of apartment buildings, social service centers, etc.). lending books, “free” libraries, reading programs, and education for parents and educators to help little ones learn (and love) to read. 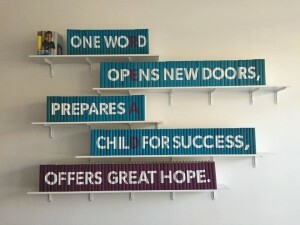 They have a beautiful new facility where you can drop-in, see the story time area, wonderful books, and even buy a branded item to help support this worthy organization, literally! For more information about Make Way for Books, or ways you can support such an amazing organization, please visit their website!